This past summer I decided to go on a mini vacation by myself to California. This was my first time flying alone as well as planning my own trip with my own money. It was definitely an exciting experience for me! Originally, I requested vacation time from work just to relax and then I thought I might as well set up a trip. I was going to go to Miami, Florida to spend time with my roommate but plans changed and I decided to visit the West Coast. First step was buying my flight. That was easy I just used my Expedia app to buy my ticket. Next, I had to look for a room. I thought about a hotel but then a friend told me to try the "Airbnb" app. I promise you I was extremely skeptical about trying this. You pick the area you would like to stay and there are lists of houses to choose from. Each owner has a description and a couple of photos to show off the place. Depending on the availabilities between dates and number of rooms and amount of people staying the prices range. You can even chat with the owner to explain your reason for your stay. They even offer rides. After picking a place to stay I decided to just rent a car because I didn't want to bother anyone. For the rental car, I chose one after I actually arrrived in California. They normally have shuttle buses as soon as you get out of the airport to take you to a rental car service. As soon as I arrived to the place I was staying at, I put my stuff down and began to explore. To my surprise as I was walking around, I came across the opening of the Verizon destination store in Santa Monica. I currently work for Verizon Wireless and my mind was blown by how beautiful this store was. There were so many interactive products and electronics for customers to be entertained by. The representatives were very welcoming. The overall aura of the store was amazing. I even managed to take a picture of one the sections in the store. It's called a selfie booth. You can pick up props and take a quick selfie while you wait. This day I decided to visit Venice Beach. I heard lots of great things about their Boardwalk and I just had to see it for myself. First things first I had to eat some food. 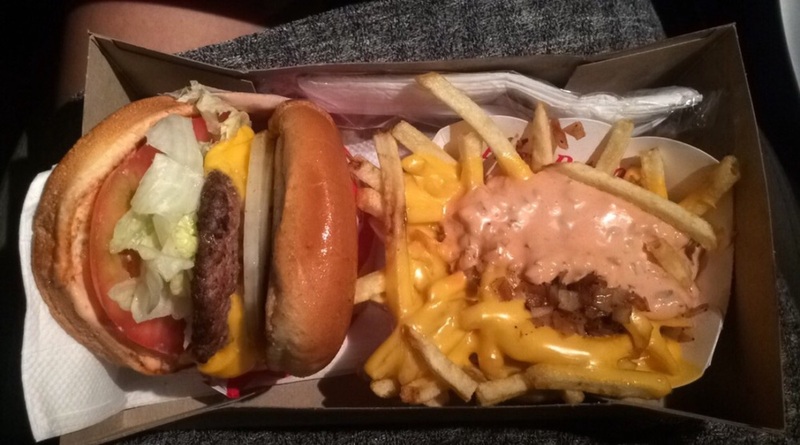 I stopped at this place to eat this delicious burger. I definitely was not worried about eating healthy for thigs trip! I spent some time at the beach. The sun was extremely hot this day so my tanning was cut a bit short. I couldn't take the heat anymore. But walking on the pier and boardwalk was still a fun time. I even got in my car to check out the scenery. The houses were very cute and the streets were extremely tiny. This definitely explains why people refer to Venice as little Italy. On the last two days of my trip I wanted to make sure I squeezed in as many tourist attractions as I could. I googled of few things. At the top of the list was Griffith Observatory! This attraction is located in Los Angeles. It was definitely a drive from where I was staying in Santa Monica but it was worth it. After looking at the beautiful view, I went to Hollywood. 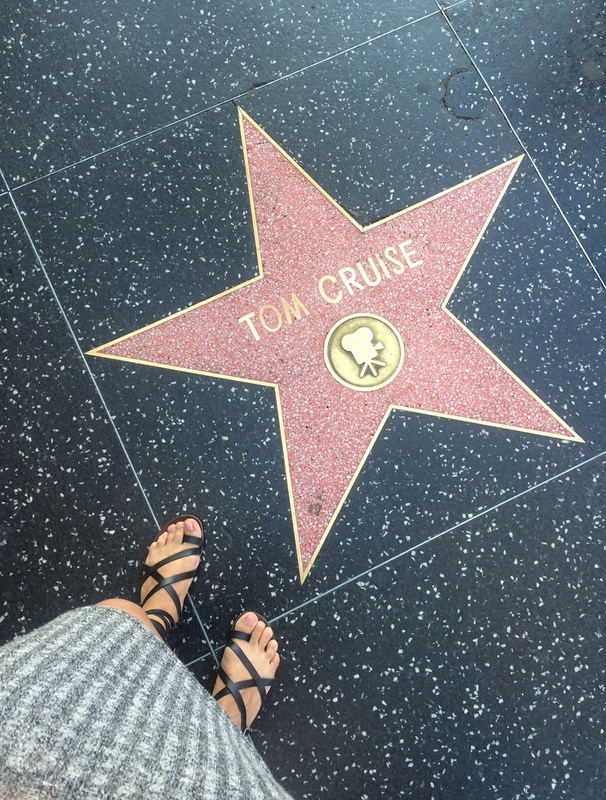 I always wanted to see the Walk of Fame! Seeing all the stars on the ground was amazing, I guess I was star struck which is probably how people feel when then they first visit New York City. There was a lot of entertainment on that strip. People were dressed up in costumes, break dancers were performing and music was playing. On my last day, I went to the beach again of course. 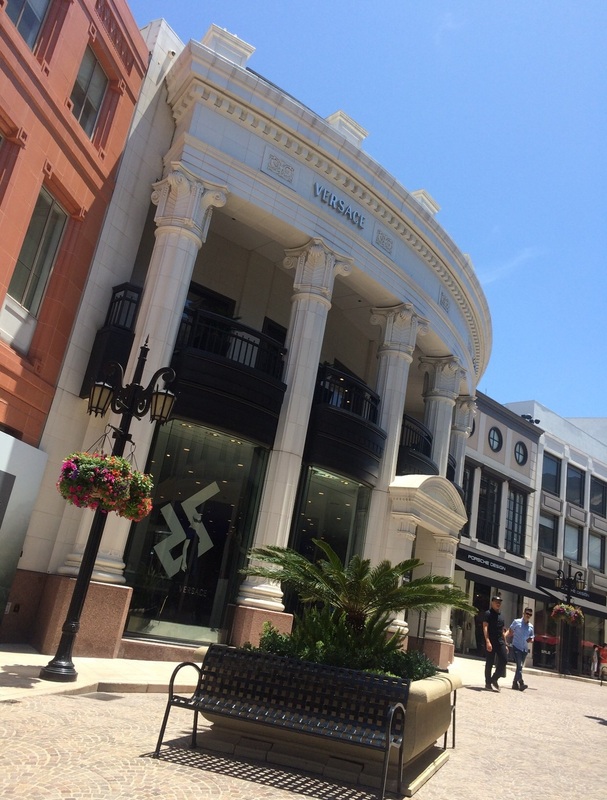 I also went with a friend to visit Rodeo Drive. Honestly, I felt like I was in a movie just walking up and down the street. They don't allow pictures to be taken inside of any of the stores so I was pretty bummed about that. I still managed to take some shots of the scenery though. The houses around this area are no joke. They are literally mansions. I have so many more photos, but this post is long enough. I hope I was able to capture a bit of what California has to offer. It was definitely a great time and I would love to go again. Maybe next time I can find a friend to join me. Cin Talks: What do women want?